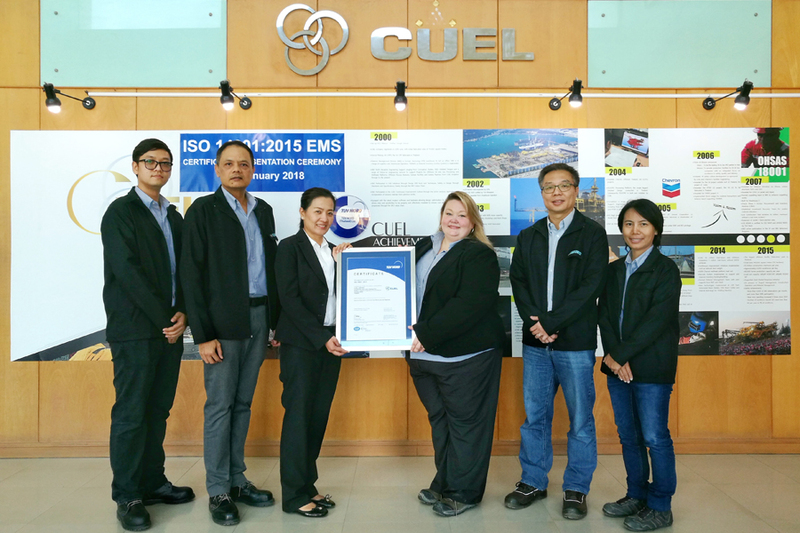 CUEL Ltd., represented by Ms. Christie Brown, General Manager-Operations and Mr. Kiatichai Tadawachira, General Manager-Corporate, received the ISO 14001 : 2015 certificate from TÜV NORD (Thailand) Ltd., represented by Ms. Numfon Sa-ngeamruk. The scope of certificate are including Onshore Fabrication of Oil and Gas Structures and Pipelines. © COPYRIGHT 2015 CUEL ALL RIGHTS RESERVED.